LEATHER JACKET WITH FOX TRIM: Brown leather jacket with contract black and brown leather detailing is cozy with red fox trim at the neck and shoulders. 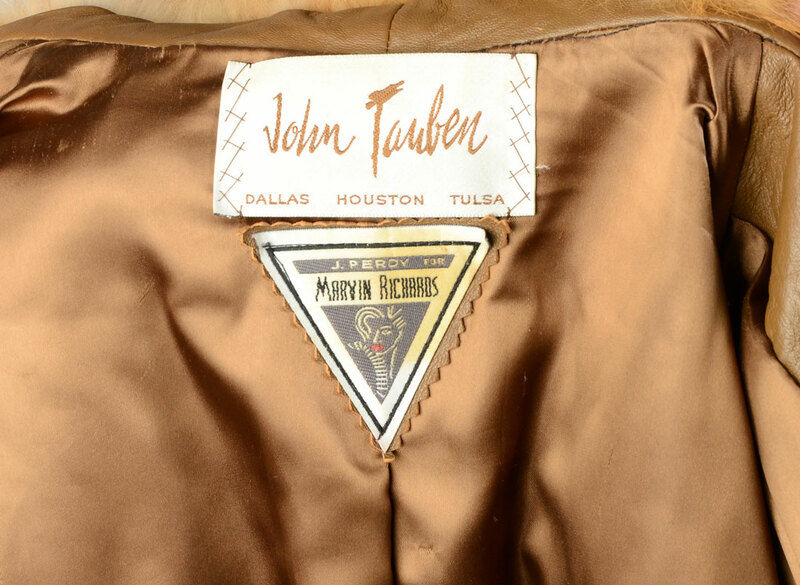 John Tauben label on matching lining with full name embroidered. 2 defined pockets with accented by contrasting leather trim. 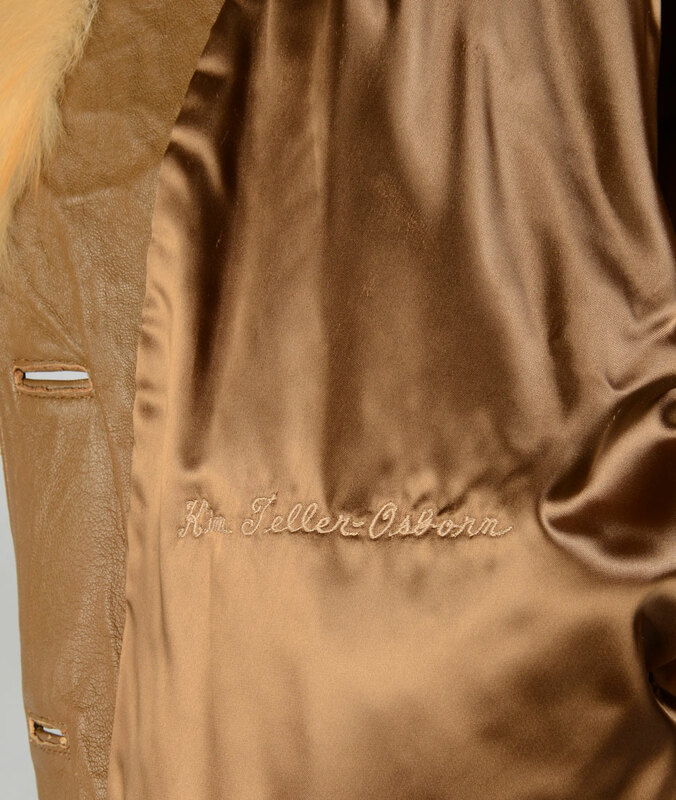 3 button front. Approx size 12 / Large.